US Army MWR :: View Event :: What the Wibit?!? There will be two sessions on the first Saturday of every month. Wibit is all about fun on the water! 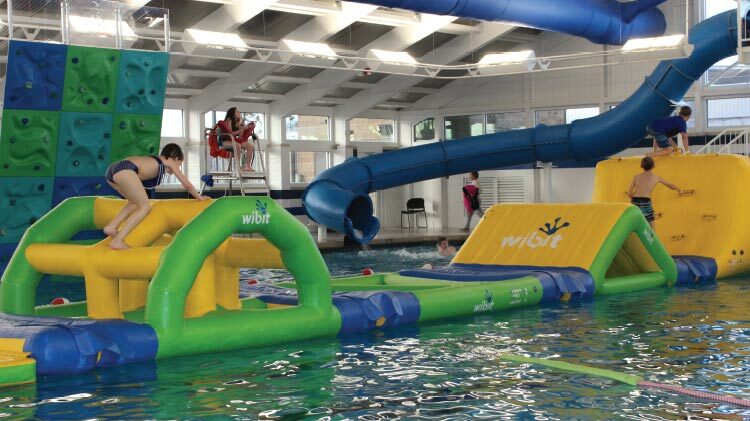 We transform our indoor swimming pool into a giant water playground. Ages 6 and up may participate in this event. 5 and under may swim in shallow end, but may not use the Wibit. Swim test will be administered prior to the start of the event--you MUST have the ability to swim 15 yards without struggling. Life jackets are not allowed on Wibit structure.